[Bound after:] Vanity Fair. 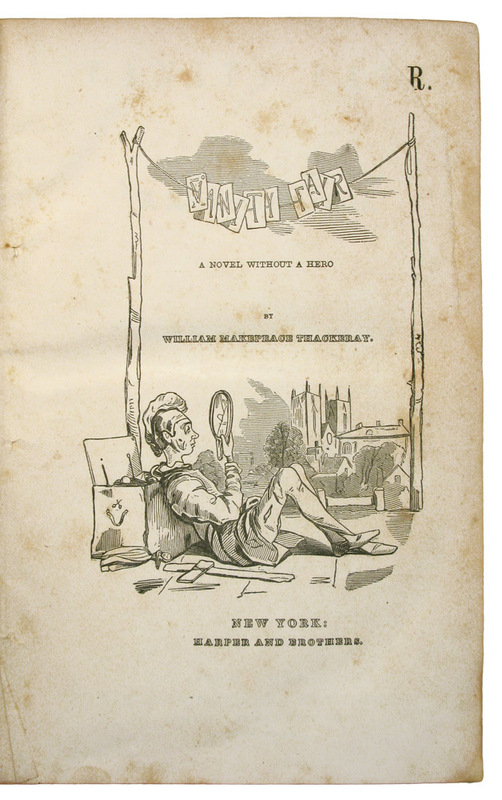 A Novel without a Hero. Notes: The scarce first book-form edition of Thackeray's 'The Great Hoggarty Diamond', originally published serially in 'Fraser's Magazine' in 1841. This printing is based on the serial and hence is slightly different from the first English edition, which would be published in London the following year as 'The History of Samuel Titmarsh and the Great Hoggarty Diamond'. 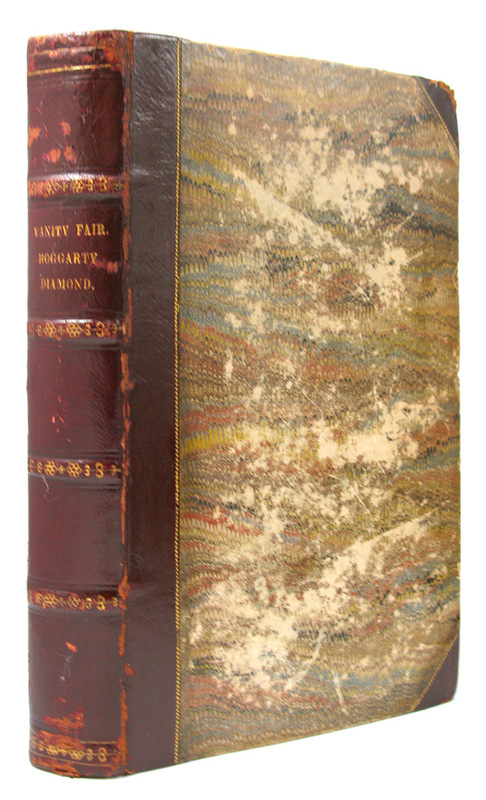 This version is much scarcer than the first English edition: according to Van Duzer, Dickson could locate only one copy, in the Boston Athenaeum, and there are no copies now listed in COPAC. 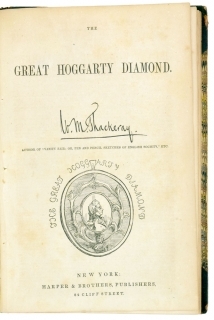 ABPC records only four appearances at auctio...moreThe scarce first book-form edition of Thackeray's 'The Great Hoggarty Diamond', originally published serially in 'Fraser's Magazine' in 1841. 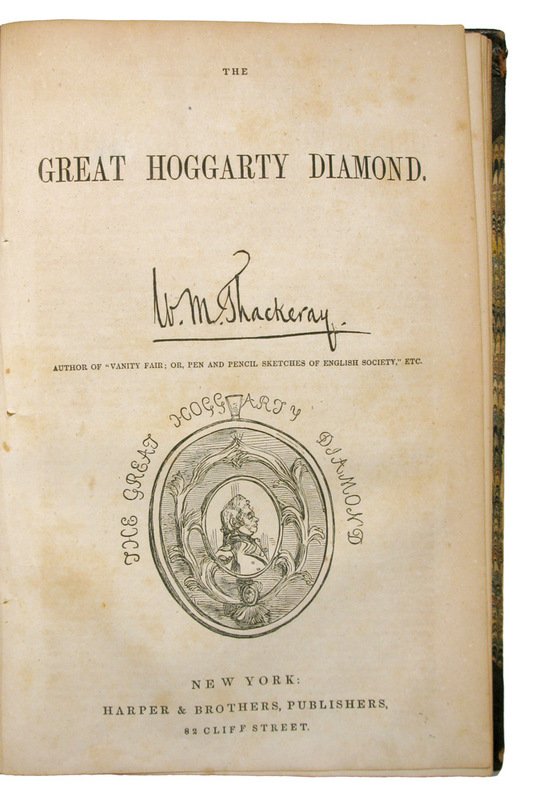 This printing is based on the serial and hence is slightly different from the first English edition, which would be published in London the following year as 'The History of Samuel Titmarsh and the Great Hoggarty Diamond'. This version is much scarcer than the first English edition: according to Van Duzer, Dickson could locate only one copy, in the Boston Athenaeum, and there are no copies now listed in COPAC. ABPC records only four appearances at auction, all in America, and none after 1989.